Feyre has returned to the Spring Court, determined to gather information on Tamlin's maneuverings and the invading king threatening to bring Prythian to its knees. But to do so she must play a deadly game of deceit – and one slip may spell doom not only for Feyre, but for her world as well. For those of you aware, Sarah J. Maas happens to be my favorite author thanks to my discovery of her Throne of Glass series. She has a way of creating powerful female characters that are believable and most of the time, relatable. 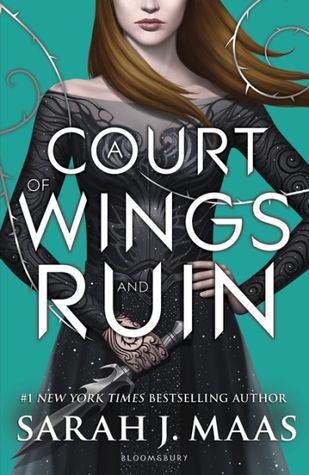 A Court of Wings and Ruin is the third installment in her A Court of Thorns and Roses series that remains as pure fantasy with well thought out characters, detailed worlds, and a story that's engaging and addicting. We continue to follow beloved Feyre who has literally gone through hell and back (multiple times) and continues to do so. In this, they go to war and as a writer myself, I always wondered how other writers would craft battle scenes of war. Ms. Maas has a wonderful way of keeping you engaged and attached to the scene you're reading when it comes to the action. Speaking of action, there's plenty of it and it's not overbearing either. Sometimes, authors tend to forget about the pacing and just smack you in the face with all they got, but Ms. Maas beautifully paces the story altogether. 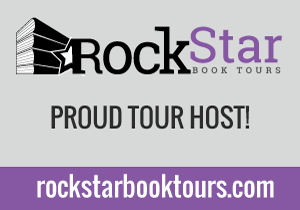 Delving deeper, we're thrown with several twists that both make your heart soar, your jaw drop, and puts you onto one hell of an emotional rollercoaster. Overall, this book was amazing just like the others. It contained all the elements I look for in an amazing book and Ms. Maas has yet to disappoint me. Needless to say, this series remains to be a great one and I'm so looking forward to reading the next book. According to Goodreads, there's about six books and considering where we ended with this one, I'm actually interested to see where else she will be taking us. What happens when this book ends? What about the next one? So many unanswered questions. I'm just glad I have these to keep me busy while I wait for the next Throne of Glass book to come out in October. Otherwise, I'm sure I'd die.